Dozens of sea turtles have washed up dead on the coast of Florida after a red tide bloom in the waters, wildlife officials said. [post_ads]"We've seen a large increase in the number of sea turtle patients affected by red tide this year, compared to last year. This year at this time we've treated 33 sea turtles for a variety of reasons, including red tide. Last year at this time we were only at 10 sea turtle patients. So it has significantly increased compared to last year," a CROW representative told Tampa Bay's WFTS. 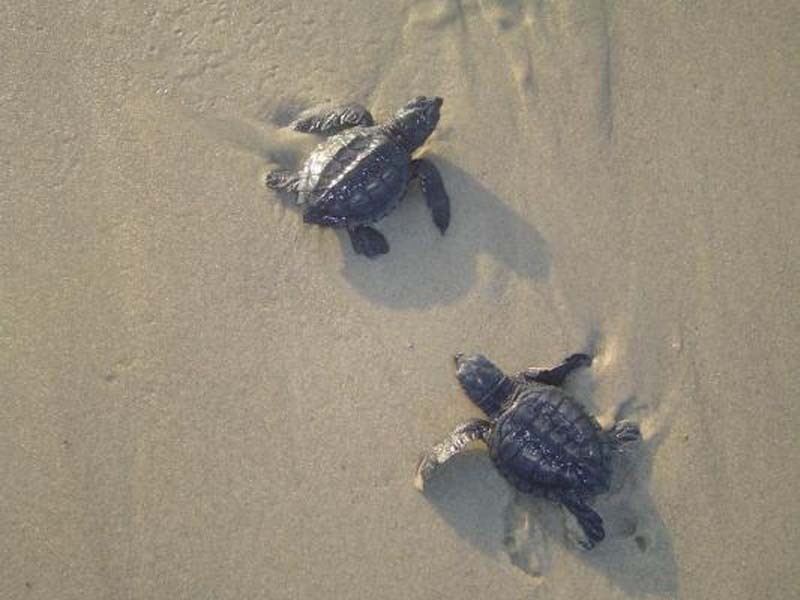 SCCF sea turtle researcher Kelly Sloan told the Fort Myers News-Press that 53 of the sea turtles found on the shores and in the waters were mature adults, threatening the recovery of the endangered species. "Most of them have been mature adults, and only 1 in 1,000 make it to adulthood," Sloan said, "It takes a loggerhead 25 to 30 years to mature, so that really does have a significant impact on their recovery." She added researchers are unable to confirm if the red tide was responsible for the deaths, but many exhibited neurological symptoms associated with the harmful algae bloom. Maura Kraus, a sea turtle expert for Collier County, said the area has also experienced an above average amount of dead sea turtles in the midst of the red tide. "The last two days have been really bad with red tide, and we had two strandings today and two yesterday," Kraus said. "The red tide is in everything they eat, and they're breathing it. The most vulnerable turtles are the Kemp's ridleys and the loggerheads, and it's concentrated in the food they eat." Head of the CROW clinic Heather Barron said the red tide outbreak came after the season's usual end in April and has conflicted with the sea turtles' peak period of reproduction. "This is so devastating to the population of sea turtles that was really starting to come back, and I fear this event will have an impact for years to come," Barron said.